There are so many situations when vectorized artwork works out much faster, for example, finite element based simulation programs, or when large numbers of arc or circle objects need to be quickly represented in a large drawing. Tired of taking all those coffee breaks while the machine computes ? ArcVect from CAD Design Software www.cad-design.com is here to take of that problem ! . 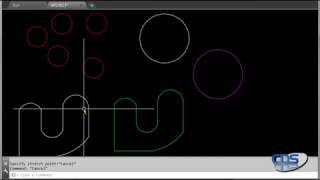 It’s an easy to use app that converts circles , arcs and polyarcs into vectorized objects. All one has to do is specify the number of segments separately for circles and for arcs and pick to select, to unleash this powerful app on your unsuspecting circles and arcs !